When We Work Together, Together We Work. Whether you are considering a new facility, relocating, expanding or reevaluating your bottom line, Dallas County has the facilities, incentives and people to make it work. The rich history and natural beauty of Selma and Dallas County are great for business, and even better for your people. When considering possible locations for your business, think Dallas County; our four industrial parks are ideal with the air, river, road and rail access you’ll need to cut costs, improve productivity, and get your product to consumers fast. 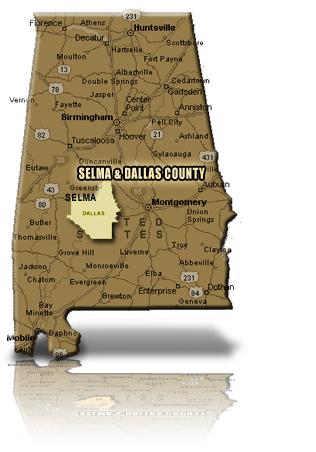 Located in Central Alabama, the Selma & Dallas County Economic Development Authority can get you all the information necessary to make a decision. Let the area’s history and stunning architecture serve the senses while the wealth of spirit and quality life fill the soul. Call or email us and put our team to work for you, because when we work together, together we work. 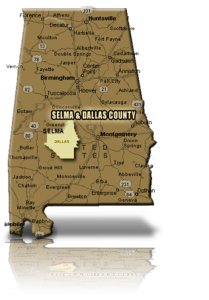 A quick look into the life, sites and culture of Selma and Dallas County. Within a 40 mile radius of Selma, you’ll find a labor force of more than 211,299 people, with skills in manufacturing, utilities, retail, wholesale, communications and other industries. AdvantageSites are fully documented sites that have been vetted to ensure all-important information critical for the site selection process is readily available to a prospective industry.